Here is a perfect example of what not to do when making a sizing screen. Using an oxy/fuel torch attempting to make a rock crushing screen by hand, has fully annealed this plate. The remaining webs between the torch cut holes have been completely overheated during the torch cutting process. Slow cooling has left them as soft as mild steel. The idea was to save a few dollars. Unfortunately, the result was a plate that will wear rapidly, and cannot accurately size the rocks to their customer’s specifications. All are critical for every road construction project. This method will result in the screen completely failing within a month. Then it will need to be replaced again, and fast. Unplanned downtime makes everything come to a screeching halt. • Now you have to buy additional wear resistant steel to replace the failed plate. • People are sitting around while this gets changed. This adds up fast when equipment grinds to a stop. If the screen is not running, stockpiles go down fast. • Late deliveries result in loss of performance bonuses for on time project completion. On top of that, unhappy customers and late completion penalties punish the bottom line. Let’s not forget possible delayed payments from the general contractor. • Overtime labor adds up when you are rushing to get everything operating within specs again. First – save time and keep the hardness you need by investing in quality replacement screen plates. 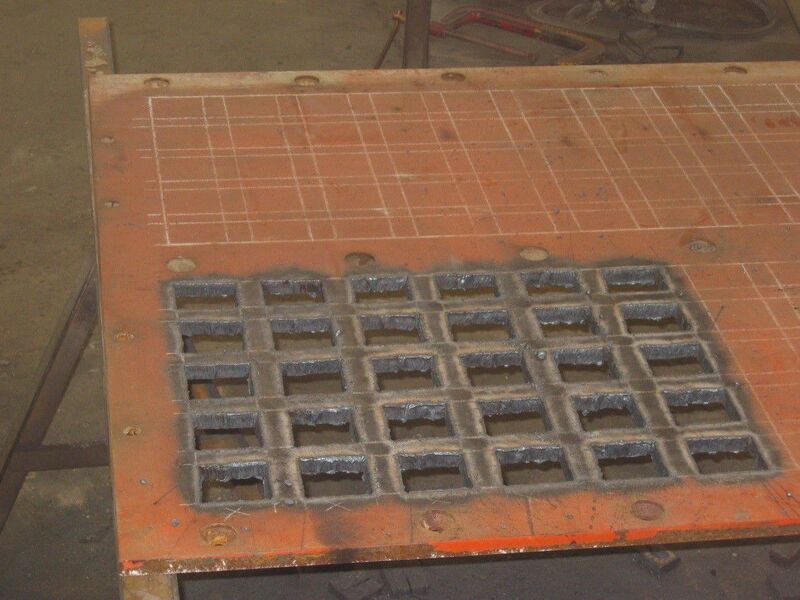 JADCO’s QT-PLUS ® is an ideal wear plate to utilize for punch plate and scalping screens. • QT-PLUS ® has the same hardness completely through the thickness of the plate. • QT-PLUS ® can be sized to fit your specific needs, including the ability to customize your screen into specialized profiles and shapes. • You can effectively form, machine and weld QT-PLUS ® using the correct procedures and proper welding alloys. • Progressive wear with this through hardened plate means you can monitor and schedule when you need to replace the component, rather than have an unplanned breakdown. See how JADCO’s recent 5-axis plasma torch cuts underwater to add countersinks for your bolt holes in any steel wear, even Carbide Overlay Plate. Notice how fast and precise this is compared to using a drill and counter sinking or carbon-arc gouging. The location is exactly where it needs to be for easy installation. You can also use a water jet, which does a good job and does not overheat the steel. However, it is slower and more expensive. 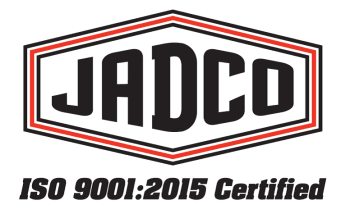 Contact JADCO today to have a trained applications specialist assist you in controlling your most challenging wear application.